Fully furnished and equipped apartments include everything needed to feel at home. In need of Corporate Housing? NEST is the perfect place to call home! Project or Assignment? Find spacious temporary housing with NEST! With properties throughout central and SW Virginia, Nest has so many locations to choose from. Moving to the area? Make your temporary home with NEST! Receiving medical treatment? NEST provides temporary housing that feels like home! For medical professionals on assignment, NEST provides housing locations close to the best hospitals! When disaster strikes, insurance companies trust NEST to provide the best housing solutions for their policyholders! NEST Furnished Living offers the very best in short term furnished apartment living in central and SW Virginia. 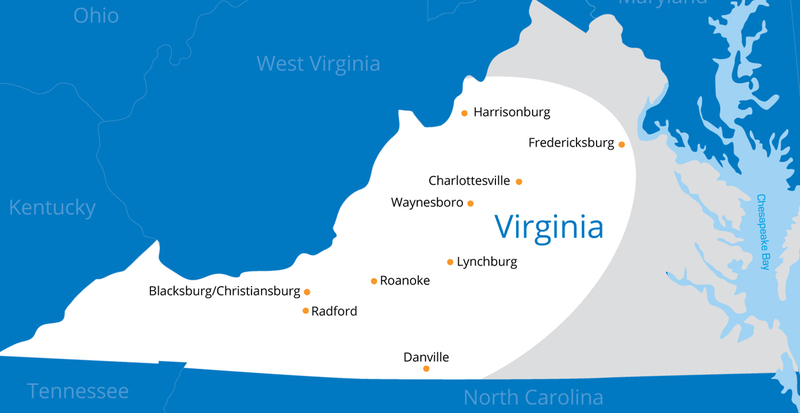 Whether you’re relocating to Roanoke, on a temporary assignment in Lynchburg, traveling for business in Blacksburg, or getting medical treatment in Charlottesville, NEST has a temporary housing solution that meets your needs. With a minimum stay as little as one month, our fully furnished and equipped apartments are move-in ready and include everything needed to feel at home – attractive housewares, electronics, premium linens for bed and bath, washer and dryer, utilities, expanded cable, high speed Wifi, and more. Guests need only to bring their luggage and laptop, and we’ll take care of the rest! NEST Furnished Living is the only full service corporate housing provider based in Southwest Virginia. We live and work in the markets we serve, and are familiar with the communities, schools, and neighborhoods. Our high-touch guest service standard will ensure that you have everything you need and that your stay is one you’ll enjoy and remember.